Heywood Community School was founded in 1990 following an amalgamation of three religious schools and one vocational school in the Co. Laois area. 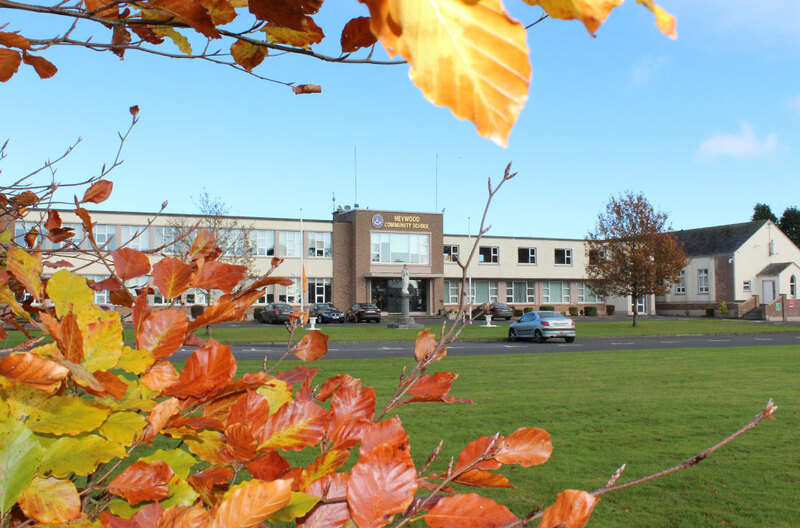 Salesian College, Ballinakill first opened it’s doors in 1967 as a boarding and a day school for boys. Previously it had been a noviciate for young men aspiring to become members of the Salesian Order whose ethos was total dedication to the education of youth. The Brigidine Convent played an important part in the life of Abbeyleix for almost one hundred and fifty years both as a boarding school from 1842 and a day school in 1918. The Brigidine community was famous for musicals, debating, sport and student participation in charitable work, which were so encouraged by the sisters, in addition to it’s strong academic tradition. The Presentation Sisters first became involved with education in Durrow in 1914. Having bought the Castle Durrow in 1929, they set about educating the local girls at Primary level. In 1960, St Fintan’s College was established to cater for Boys and Girls at Post Primary Level. The Presentation ethos embraced the idea of the true Christian formation of the young. 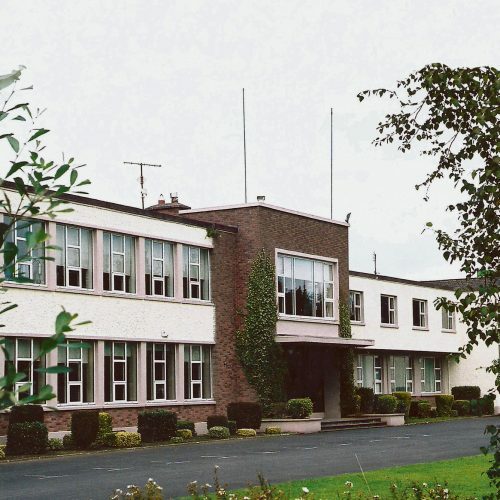 Laois Vocational Educational Committee established the Vocational School in Abbeyleix in 1964 to fulfil a need in the catchment area for Vocational Training. Throughout the 26 years of its existence, it provided valuable technical education to the local Community. It is now a centre for further education I t is from these illustrious veins of education that Heywood Community School, Ballinakill has descended and the spirit of each school lives on in the education and development of the students here. It is envisaged that each pupil may leave the school as a competent young adult, with an appreciation of the Heywood experience. Michael Frederick Trench built Heywood House in the 17th Century with the help of his friend, the well known architect, James Gandon. The estate in his time was about to undergo major change and Michael Frederick’s influence was evident in this. Michael Frederick Trench married Anna Helena Stewart who was the only daughter of Patrick Stewart and Mary Heywood of Killymoon in Co. Tyrone. The estate was named after his mother-in-law, Mary Heywood. During this time Michael F. Trench constructed the Black Church which was the burial chamber for the Trench family. About nine of the Trench family were interred therein. Michael F. Trench was an engineer and civil architect and drew up plans for the parish church in Swords. He also helped to design the Rotunda Assembly Rooms in Dublin. The town of Ballinakill was planned out by Michael Trench and the Huguenot influence is still evident in the town. Frederick Trench’s daughter Sarah Helena married Sir Pocklington Domvile of Santry and by this marriage the Heywood Estate passed to the Domvile family.The Empress Elizabeth of Austria was entertained in Heywood when she came to hunt in Ireland in 1879 and 1880.In 1886 Mary Adelaide Domvile married Lieutenant Colonel Sir William Hutchinson Poe and the estate passed to the Poe family. During his stay at Heywood Sir William Poe spent £250,000 renovating the mansion and grounds.Heywood House lay vacant following the departure of Colonel Poe until it was acquired by the Salesians in 1941. Nine years later it was gutted by flames after a fire broke out in 1950. The house was demolished and a modern community school has been built nearby. On December 5th, 1995, the Department of Education officially opened Heywood Community School. The Community School is a thriving educational institution with strong links with the local and wider community and has contributed significantly to the social, sporting, cultural, spiritual and educational development of its hinterland. In fulfilling its mission the school nurtures and affirms the uniqueness and full development of each individual. It promotes the personal and emotional development of students, staff and management in a caring and respectful environment. The school ethos respects the dignity of each person by listening to their views and encouraging them to question and search for meaning. Mindful of our role in the education of young people the school endeavours to provide a learning and teaching environment that encourages students to give due importance to their studies and promotes educational excellence. Day to day classroom workis enhanced by field studies, projects and scheduled professional direction on study methods and examination techniques. The ethos seeks also to awaken spirituality in all members of the school community. It strives to establish the school as a witness to the reign of God and the gospel values and will nurture the Christian faith through RE classes, annual retreats and through providing opportunities for spiritual engagement (prayer services, prayer opportunities) while at the same time demonstrating a spirit of tolerance of the religious beliefs of others, facilitating them in whatever way possible in the practices of their own faiths. In living the ethos the school will raise awareness, develop a concern and support for the vulnerable and disadvantaged in society.It will promote an awareness of justice and equality and establish a positive attitude towards the social inclusion of minority groups in a multi-cultural society. It will attempt to develop a community which facilitates the development of a spirit of service and care in which parents, guardians, educators and young people work together for the good of the school, the community and the environment. Heywood Community School recognises the importance of cultural and extra curricular activities for all. This incorporates respect for ournational language, our heritage, our sporting, artistic and musical interests, and our sense of national community and school pride. A cultural and extra curricular programme is offered, and all students are encouraged to participate.